Why Congress is Anti-National & Pro Pakistan ? terror-sponsoring state. In his every speech abroad whether at UN or G20, he strongly demanded action against the state directly sponsoring terrorism. The result is that Pakistan is being isolated internationally. Many Pak ministers and journalists have openly acknowledged that because of Modi's wild perusal of Pakistan it is getting isolated. America is cutting aid, countries are demanding strong action against terrorists by Pakistan. His government has also responded Pakistan in its own coin. BSF now does not require permission from Delhi to fire bullets. BSF and Army give strong responses to every misadventure by Pakistan. The army is carrying out “Operation All Out” in Kashmir. The central government is showing no mercy to Pakistan sponsored separatists and terrorists. The shelf life of terrorists has reduced to less than 1 year. Pakistan is feeling the heat and it knows it's because of Modi. While under Congress Pakistan used to breath much easier. Congress didn't try to isolate Pakistan internationally, adopted a soft approach to terrorism. In fact, after a few months of Pulwama Attack and 26/11 Mumbai Attacks, MMS met Pak foreign minister and endorsed Pakistan’s clever statement implying that it had nothing to do with terrorism. Even Mani Shankar Aiyar went to Pakistan and said, 'Remove Modi, Bring Us.’ It's obvious that Pakistan wants a counterpart which it can deal with much ease. 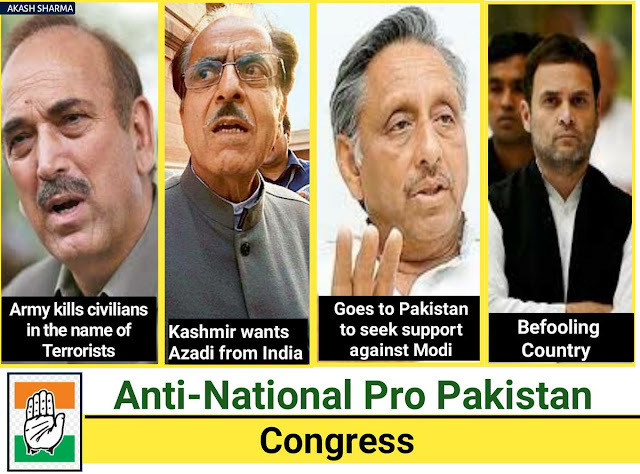 Why is Pakistan happy if the Congress comes to power in India in place of Modi? They will be able to implement attacks like 9/11 and get a pile of papers from India as proof instead of revenge. able to invite and meet Indian politicians to their country while backstabbing the country. able to gain profit through industry, trade and all other things while promoting terrorism. able to build back their terror group in Kashmir. If there is one enemy of India, whom India should avoid completely, it is Pakistan. Pakistan is known for terrorism. Even, Osama bin Laden was hiding in Pakistan. We cannot afford to take Pakistan lightly. We should keep them as far as possible. Recent Pulwama Terror Attack and Mumbai terror attack is still in the memory of people. We should keep our self safe from Pakistan. If Rahul becomes PM. our country goes in the hands of very weak leadership. He would not be able to take good decisions in most of the fronts. He would hug Pakistani PM. He would make blunders. Not only Pakistan but China and Maldives also want change in Indian national leadership. Reason for that is their own self-interest. Since the Modi government has come in power, Pakistan has realized a terrific change in Indian diplomatic strategies. Pakistan is getting a response in its same coin from India everywhere in the world. Every misadventure of Pakistan is earning fruit of same taste. Pakistan knows that with each passing day it is losing its standing and credibility in the world after the Pulwama Terror Attack. On the other hand with each passing day, India is strengthing its position in an international forum. After witnessing the brunt of Indian anger for last more than four years Pakistan has realized that Congress government was much easy to tackle with. 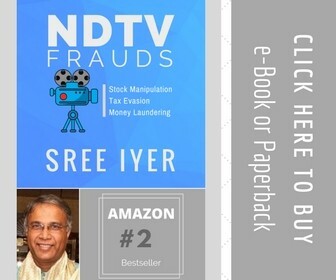 The present Indian government has given some examples of braveries and observed the state-of-the-art ruling policy. India would not have made a vigorous attempt for becoming a permanent member of the UN and NSG. India would not have stopped the Chinese’s army in doklam. India would not have carried out a surgical strike in Myanmar and Pakistan. India would not have surpassed France and become the sixth largest economy in the world. India would not have supported Baluchistan. Indian army would not have called for “ all-out” operation in Kashmir. India would not have vowed to compel Pakistan to live in isolation unless it leaves the path of terrorism against India. India would not have taken chahabar Port of Iran at lease. Which is considered very important strategically. India would not have contributed to stopping the financial aid to Pakistan from the world. India would not have become the third largest country to spend on defense. India( ISRO) would not have launched satellites under the coalition of SAARC. In which only Pakistan opted for remaining out of the launch. Bullet train would not have made its way to India. India would not have put demonetization in practice that inflicted the terrible loss to enemies of India across the globe. Indian navy would not have been able to use the naval Base of America across the world. Israel PM had not dared to visit India if there would have been Congress government in the center. India would not be bought the strategic Hambantota airport in Sri Lanka. Yoga day would not come into existence.